Sustainable Community Voices is a monthly conversation through WGVU with guests discussing sustainable practices. Guests have included various sustainability committees, coalitions, business leaders and sustainability leaders through out all West Michigan. For a full list of WGVU’s Sustainable Community Voices programs, click the link below. Kari Bliss and Bill Haadsma talk about the topics “The State of Recycling and The China Sword.”. Marty Gerencer from the West Michigan Shoreline Food Processing Initiative talks about the new program and how the community benefits. Sustainable Community Voices with Molly Flanagan, VP of policy for the Alliance for the Great Lakes. Molly joins us to talk about using the Great Lakes for drinking water. Sarah Mullkoff, Energy Program Director with Lansing’s Michigan Environmental Council, discusses The Energy Policy Scene in Michigan with us. Julio Cano-San Martin, Community Health Program Specialist with Spectrum Health, talks about Food Rx. Jason Kehrer from NewNorth Center for Design in Business talks about design thinking and how that contributes to sustainability. Mark Coe, Manager of the Farm to Freezer Program at Goodwill Northern Michigan. News on sustainability with guest Chole Pakaini of Continental Dairy Facilities on the topic of sustainability in the milk production industry. James LeRoux discusses Sustainable efforts at the Culinary Institute of Michigan. 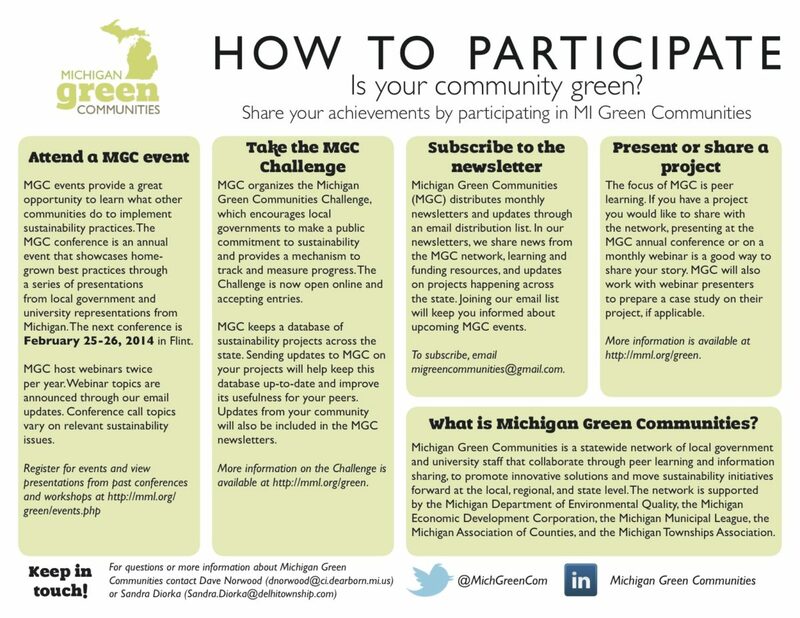 Michigan Green Communities with Jamie Kidwell-Brix, Michigan Green Communities Network Coordinator. Sustainable Community Voices, every month speaking with those in the sustainable community, with today’s topic Urban Farming with Takidia Smith. Getting Green discusses the green construction scene in Michigan and the upcoming WM Design and Construction Expo/EXPI awards. We talk to Elizabeth Bovard of Builders Exchange of Michigan. Today’s topic is Circular Economy with our guest, Silvia Leahu-Aluas. On today’s Sustainable Community Voices we talk about Holland’s Energy Prize Competition with Ashley Kimble and Anne Saliers. Our guest, Suzanne Schultz, discusses affordable housing. Sustainable Community Voices with Manager for the City of Muskegon Frank Peterson talking about the Muskegon as a Strong Town Winner.